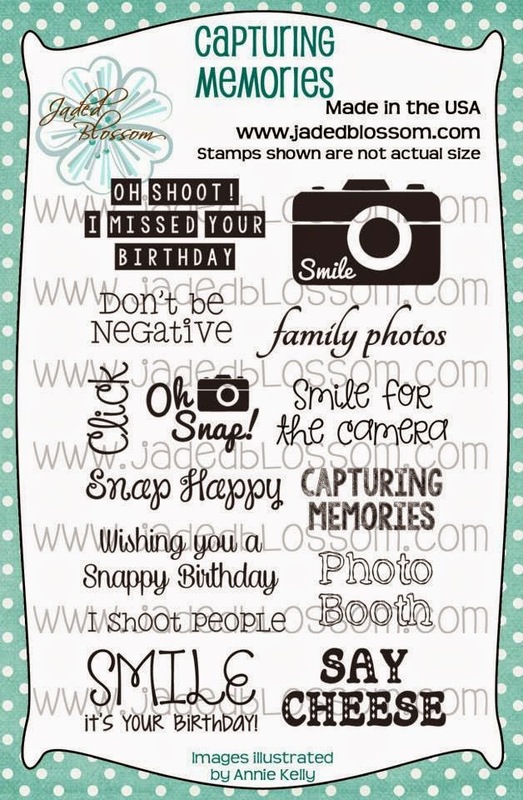 Happy Jaded Blossom Stamp Release week! We have a ton of new fun stuff this week to share with you! This months theme is Film/Camera and Baking! Here is what I created using the new Capturing Memories and Film Dies. Here is a close up. 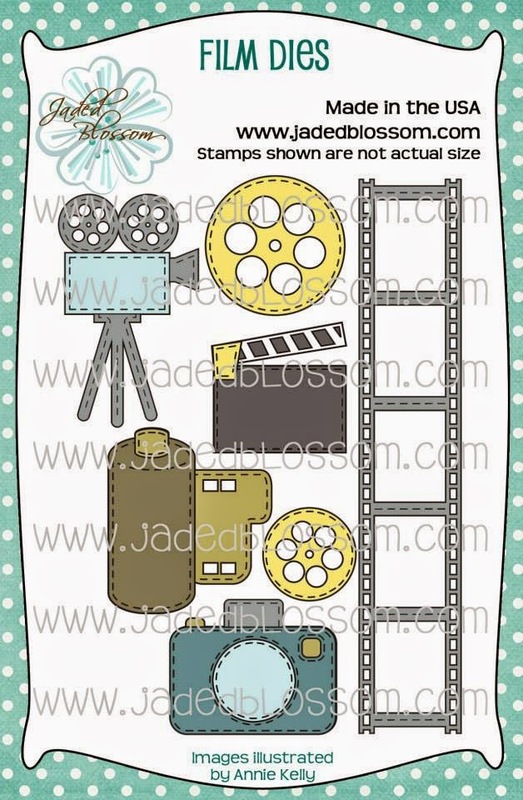 I LOVE the new film border die and the new camera die!! Simple and stunning!! love the twine. it is a great addition to the card! Love all the dies together! This is FABULOUS Candace! 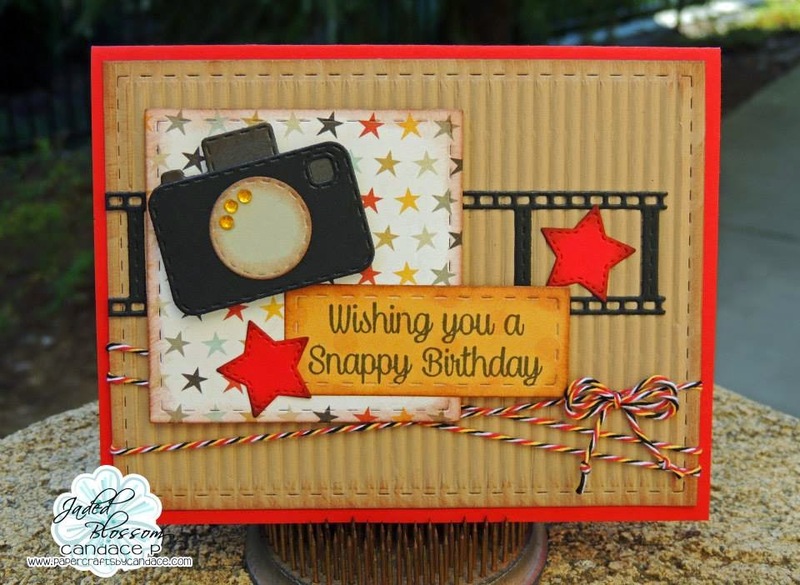 Love all the dies layered and the fun papers! Very cute love all the dies u used ! Love the way you designed this, Candace. 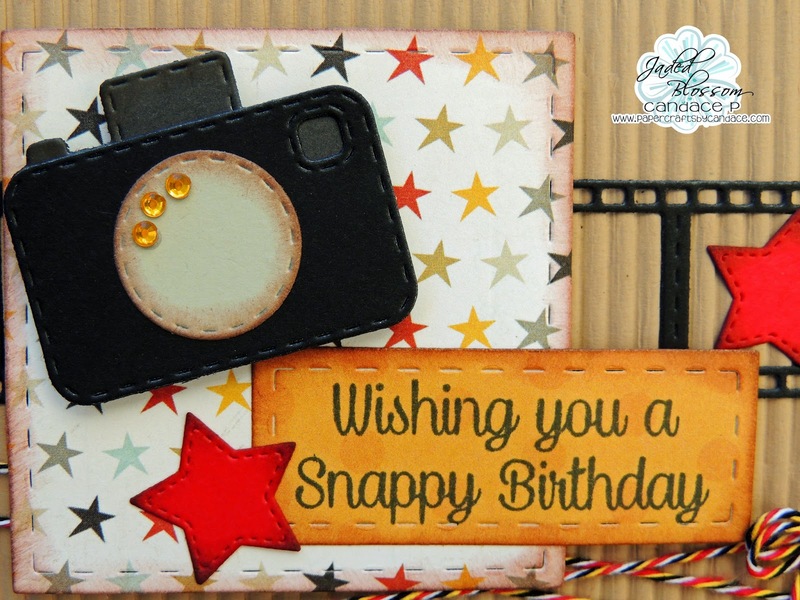 The star paper and embellishments work so well and I love the gems on the camera lens. I love the stars on this card! LOVE! !